In keeping with my current challenging makes = sewing joy (aka, using my brain makes me happy) outlook, I’ve picked something a little different for this month’s giveaway. 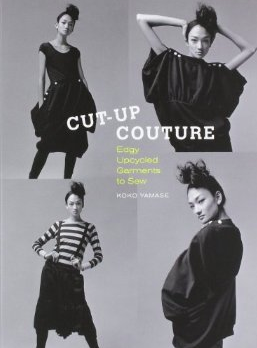 Cut-Up Couture is an awesome patternless-designs book (in English, translated from the Japanese) that shows you how to upcycle/ convert thrifted sweatshirts, t-shirts and men’s shirts into elegant, wearable, feminine garments (you don’t have to upcycle garments to make these items, you could make them from stash fabric if you’re trying to focus on using up what you already own-an admirable pursuit in and as of itself). 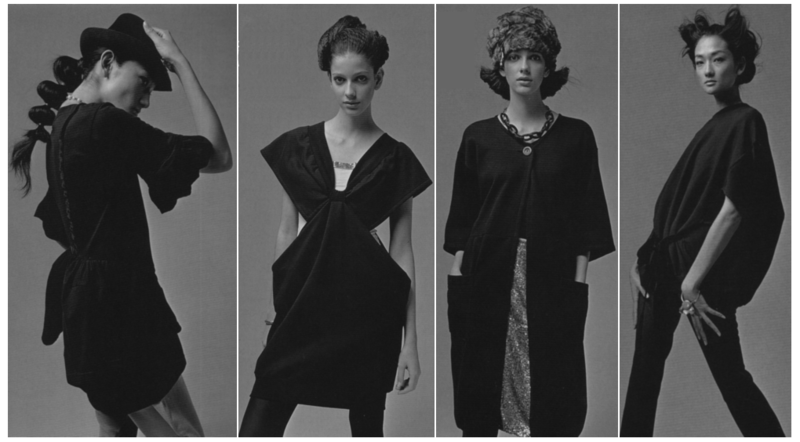 The style is versatile and very contemporary; a lot of these techniques could be employed to add a bit of pizzaz to regular patterns and give them that haute-modern edge. 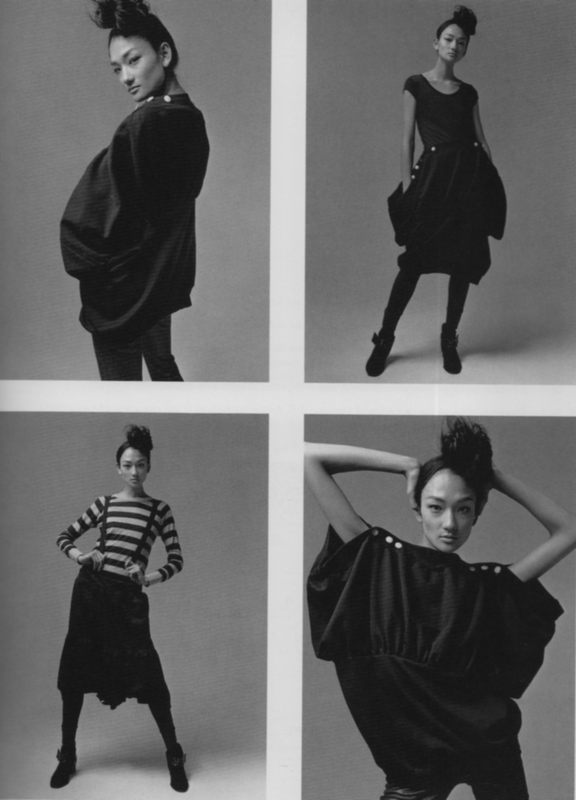 The first half of the book focuses on items made from stretch-knit fabrics and is shot entirely in black and white (I.e. Greyscale). Some of my favourites from this section are shown below. I particularly like the blouse with buttoned shoulders (also featured on the book cover) because it can be worn a few different ways-the skirt version is my favourite. 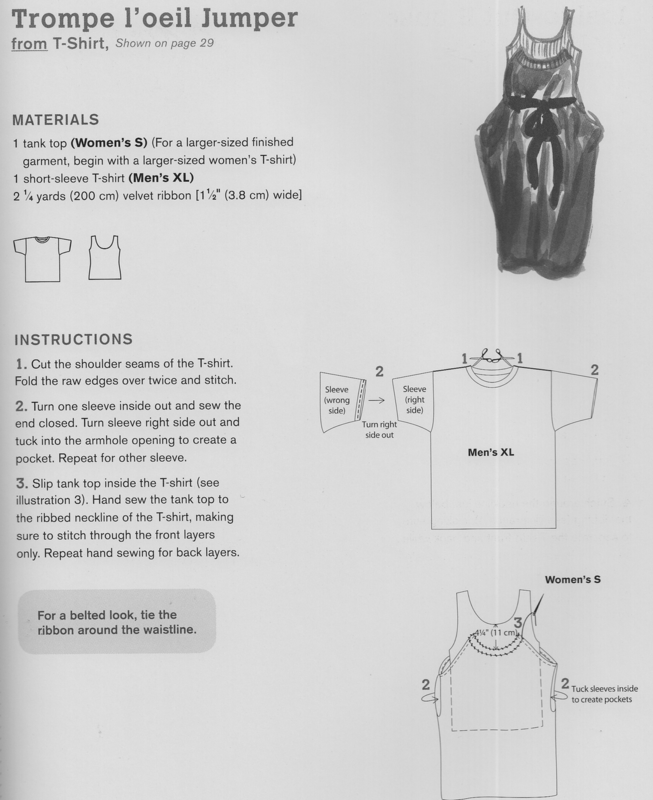 The second half focuses on woven fabrics harvested (often with little modification) from men’s shirts and includes instructions for Japanese-style camisoles, tunics and even a bubble skirt similar to this one. 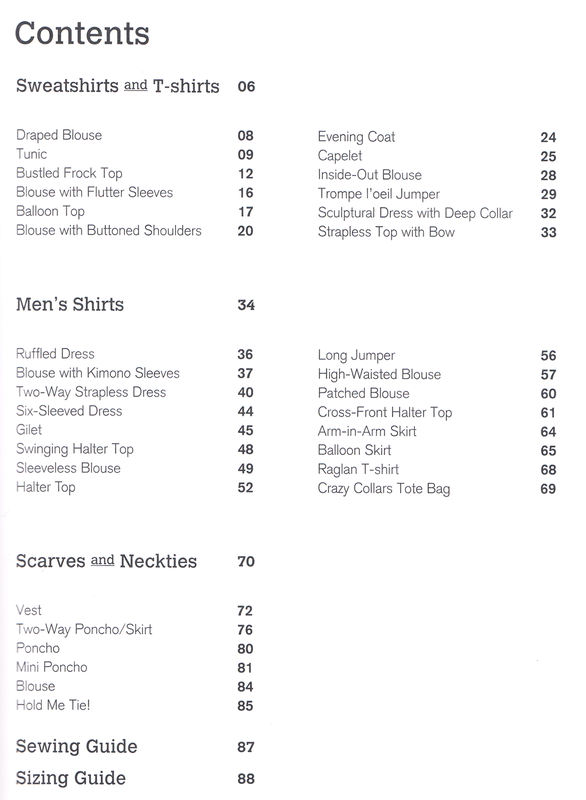 The third section focuses on using scarfs, neckties and other accessories to make capes and smaller accoutrements (and accents on other garments-see Table of Contents below). The instructions are concise and clearly illustrated with labelled diagrams on the modifications/ grids required to create each garment. Have you upcycled/ improved anything recently? Leave a link to the relevant blogpost/ flickr/ instagram URL in the comments so we can all check it out (by we, I mean everyone reading this post-I do not refer to myself in the third person-I did however, greatly enjoy the public prosecutor referring to herself in the third person while arresting George Remus). Giveaway open internationally, rules for entry here. All images remain copyright of their respective owners and are used here for purposes of illustration and discussion.